2017 is a special year for me. August 2017 marks the 20th anniversary of The Skyflowers Project. Quite frankly I can’t believe it’s been that long since I started making flower remedies in my garden in 1997. The theme of this year is ‘Intelligence’ and so I only thought it fitting to dedicate this year to ‘higher standards’ of thinking and flower therapy. Looking at what is planned in 2017, these projects are in the pipeline. Yesiree, the box set(s) of flower remedies that I started making 20 years ago are finally coming out this year. There will be two main box sets, covering The Skyflowers and Skyflowers: Higher Ground for karmic issues. These are the ‘general purpose’ sets that cover a wide range of issues. If you have something more specific in mind and want something to match a particular therapy you practice, there will also be specialized box sets coming out also based upon the plant groups seen on this page. Several new release remedies and combinations are also scheduled for release this year too. [May Update] Work has started on box design and I have obtained initial quotes. I have a meeting this week with the manufacturer and aim to release them in Q3, 2017. Brand new in 2017 is Skyflowers.Tv, a YouTube channel that is devoted to ‘real self-development and practical spirituality’. 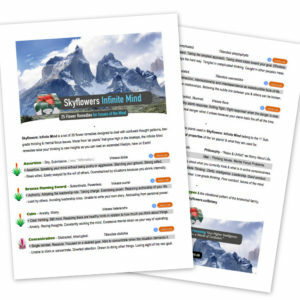 Skyflowers.Tv is a variety of shows on a range of subjects including Clinical Flower Therapy, Emotions 101, Business Tips for Natural Therapists, Interviews and Product Reviews. All of which will be built up into a learning library. Video is something I have dabbled in before but this year I will be posting vlogs regularly and to a schedule. 2 weeks at this stage but if the idea takes off and attracts financial backing, I will air shows more frequently. Video is excellent because you have a record of your material for posterity. Workshops come and go but video remains. One thing to note is that Skyflowers.Tv is not a ‘new age’ channel because quite frankly, I have a real issue with ungrounded thinking. So be warned. [May Update] I will be posting some episodes to coincide with the 20th anniversary of The Skyflowers Project. Expect some webinars soon. In 2016, the ‘Skyflowers Emotions Dictionary’ was released. In 2017, I will be revising and updating the 1st edition and turning the dictionary into a fully fledged ‘encyclopaedia of rare emotions, complex thought patterns and specialised terminology’ that I’ve built up over the last 20 years. Hopefully providing a solid reference and also clarifying some of the vague ( and incorrect ) terminology circulating in the spiritual / natural health field. [May Update] After doing some work on revisions, I decided to cancel the update. There will be a 2nd volume. I will be presenting “Integrating Kinesiology and Flower Therapy” at the KANZ conference in New Zealand this August. As August is the 20th anniversary of The Skyflowers Project, I plan on teaching workshops while in the country and also filming a small documentary of my travels. Which will include the lecture itself. I will be submitting the same presentation to the AKA for inclusion in their October conference. Fingers crossed that it gets accepted as it is in Melbourne this year, my home turf. I plan to be at that conference either way, showcasing the new Skyflowers Boxed Sets and Emotions ~ 2nd Edition and several other new releases. In the lead up to the New Zealand conference, I will be presenting an extended version of the lecture in Melbourne starting this June and July. The tour will then take me to New Zealand in August and back home for some more workshops and in October the Australian Kinesiology Conference. So stay tuned for workshop dates. [May Update] I am still looking for a host in Auckland and Wellington New Zealand for my workshops. Email Info@Skyflowers.co if you can help out. The last few years I have maintained something of a ‘light’ teaching schedule. 2017 marks a return to a somewhat heavier workshop timetable. Monthly workshops will be held for those in Melbourne as well as some online, internet-based events for those who live further afield. As it is the 20th year of The Skyflowers Project and my work in natural therapies, I thought I’d present a few lectures this year on what I have learnt over that time. Given that the Australian Kinesiology Association conference is in Melbourne, Australia this year, I will be putting in a submission for that event in October. The lecture will be on ‘Integrating Flower Therapy into Kinesiology ( without Losing Any of the Original Technique )’ and looks at the art of botanical diagnosis. Stay tuned to the blog for more details about what’s on. Particularly my plan to run a ‘business / product development group for natural therapists’ via the web. Will release details on this later in Q1. [May Update] I will be teaching a module from Clinical Flower Therapy called “Integrating Kinesiology and Flower Therapy” plus two other workshops. Dates TBA shortly. The sister project that was so big it spawned a whole other website. One of the workshops that will be rolled out this year is a brand-new workshop that teaches ‘the fundamentals of flower therapy that often left out of natural therapy courses’. In other words, it revolves around plant studies. This workshop is an essential ‘skills upgrade’ workshop for students and practitioners who already work with flower remedies. The aim of the workshop is to teach you how to use flower remedies the way mother nature intended them. Clinical Flower Therapy is a complete rewrite of flower therapy and you will be surprised how it differs from the ‘modern, digest version’ that is the norm. The plan is to release the manual for the 20th anniversary in August, but we will see how we go. [May Update] Expect news on this workshop soon. CFT is being launched for the 20th anniversary of The Skyflowers Project. This one marries with the 2017 spiritual forecast and theme for this year – higher ( use of ) intelligence. If you note, all of the projects above have one thing in common. Higher standards of education. Higher standards of information being taught to students. Higher standards of practice in natural therapies. Higher standards comes from asking questions and examining the basis of things. In my mind real questions need to be asked about some of the ideas, beliefs and concepts circulating around in the spirituality / self help / natural therapy fields. As a practitioner of ‘self awareness’, the more self aware you become the more you become aware of the cracks in the self awareness or ‘self help’ movement. And as a practitioner of self awareness, I have a real aversion to confusion. 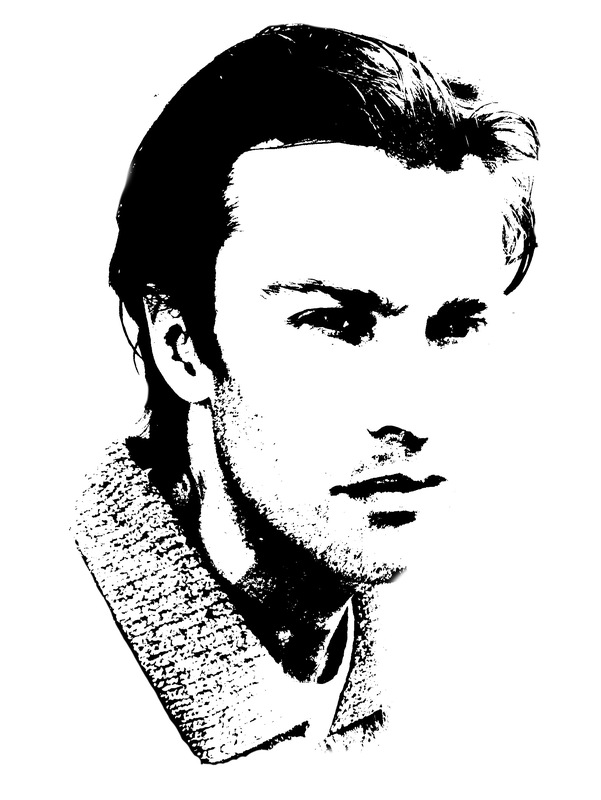 To the extend that these days I am ‘ferociously dedicated to’ cleaning up the thinking that exists in the self awareness movement. And weeding out some of the junk thinking that has crept into it. Don’t get me started on the topic of ‘negative emotions’, a misconception that is the basis of a forthcoming book. 2017 will see me continue my ‘clear thinking’ campaign to raise standards of thought. Especially when ‘new age’, ungrounded thinking has come to replace the traditional, plant-based methods in flower therapy. In that case, you will find me drawing my sword and becoming quite vocal in defence of my beloved form of Earth-based plant medicine. [March Update] I wrote an article on the difficulties in writing a basic workshop in flower therapy. It links to the suggested guidelines for flower therapy. The biggest announcement for 2017 is this one. Now that my 20 year study of the Bromeliad family is complete and drawing to a close, the botanical research will move sideways in 2017. And I will begin investigating other common plant groups. Food plants. Or rather, fruit plants. 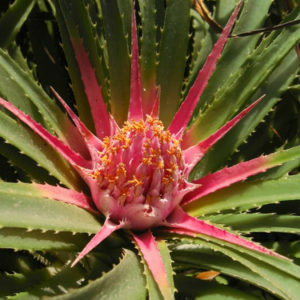 The study of the Bromeliad / Pineapple family has provided me with a template for understanding whole plant families as well as their sub-families, genus and species. Now I plan on using that template and applying to food plants so that we can get an understanding of the psycho-emotional effects of the foods we eat. Project: Fruit Box is my plan to study the properties of 5 common fruits and their families over 5 years. Project: Fruit Box kicks off in 2017 and the subject this year is the Apple family. The plan is to study and document the following plant groups. Orange, Lemon and fruits from genus Citrus. But for me to complete this study, The Skyflowers Project needs support from the natural therapy community. Something that it has failed to gather over the past 2 decades because it is ‘a commercial project’ and other ridiculous reasons. While my particular skill set allows me to translate whole plant groups into understandable language, the truth is that we live in a ‘dollars and cents world’. And I can’t do my work without support from the natural therapy field. Truth be told, Project: Fruit Box and my other projects face very real pressure. Some of it real. Some of it due to red tape. Some of it due to human error and my own mismanagement. Hopefully the natural therapy field does come to the support of the project because it needs it. 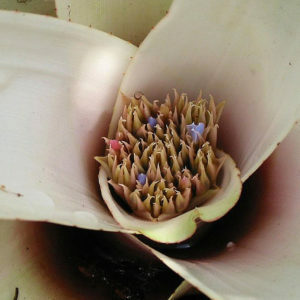 For those that have the vision, The Skyflowers Project is more than a commercial project. It is a project that belongs to future generations. [March Update] Progress on the Apple has paused for the meanwhile. I do plan on releasing my findings on schedule, in 2017, however. These are my aims for 2017. 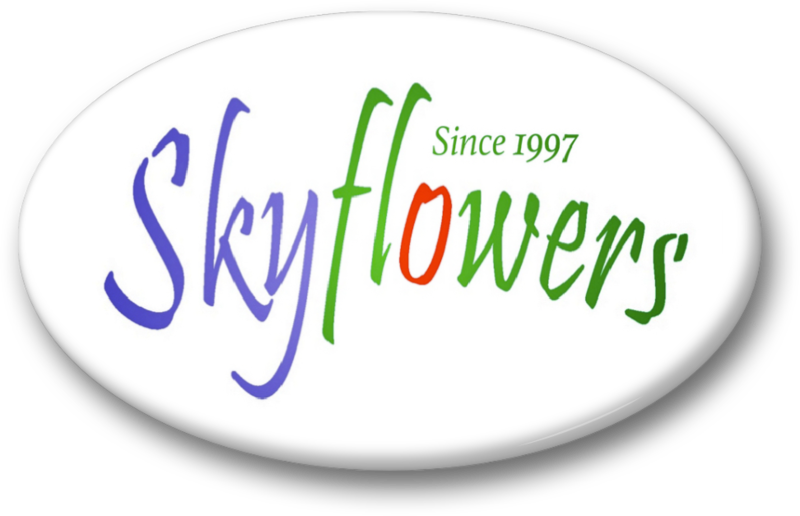 The 20th year of The Skyflowers Project.